When buying a home for the first time, you might have more questions than answers. Our job is to make sure that we answer all your questions. Here are the basics to what home buying entails. 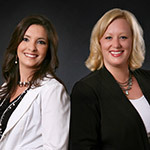 Real Estate Agent – We are responsible to help you find a home, negotiate your contract and manage your escrow. Loan Officer – They are the party that help you acquire financing for your home. Escrow Officer – They hold all the funds and provides a neutral environment to close the transactions. Step #1: We recommend speaking with a Loan Officer first so they can determine how much buying power you really have. It may be more than what you expect and the consultation doesn’t cost you any money. Step #2: Once you know how much you can afford, we will take you house hunting to find the perfect home. We will help you negotiate the contract and make sure you are getting the best value possible. Step #3: After signing the contract, you would go through the loan process to secure your home loan. This process will take about 30 – 45 days unless the contract dictates otherwise. Step #4: At the very end of the loan process you will sign your loan documents with an escrow officer to finalize and record the deed of trust. Step #5: You are officially a homeowner at this point and we hand over the keys.